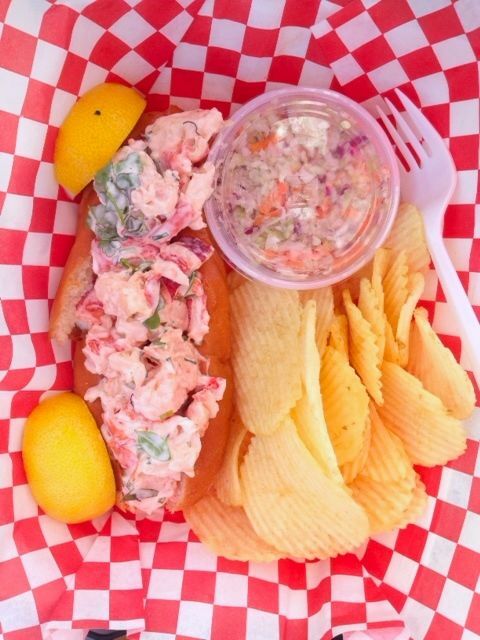 We started by ordering the Maine Lobster Roll (hot and buttery). One bite and I was convinced. The roll very tender, I was expecting something with a little more crunch, but I was glad it was so soft. These are loaded with lobster, but they are not huge sandwiches, so we had to try a 2nd one. It’s all in the name of research.. FOR YOU. I’m doing this for you! 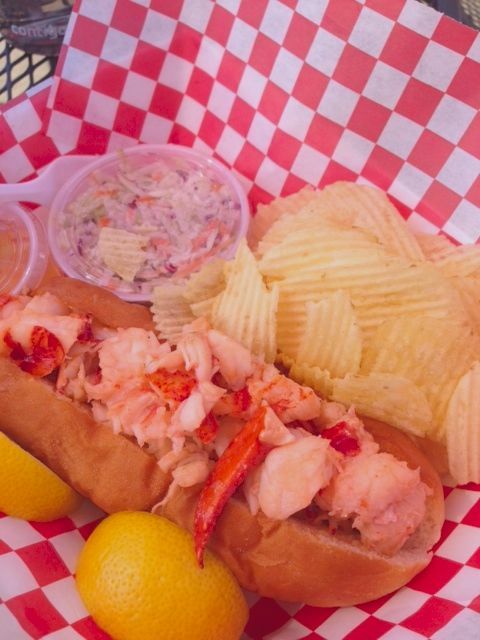 I have never had a Lobster Roll (don’t judge me) and now all my Lobster Rolls will be compared to these. Seriously, don’t miss this food cart. The also have Clam Chowder and Lobster Bisque. I’m definitely going back to try those out. Pricing is $14 for each of these sandwiches. It is high, but it’s Lobster. Cartlania boasts a great beer garden and an area that is well covered in the winter months. Cartlandia is located at 8145 SE 82nd Ave, Portland. Have you been here yet? Which do you prefer, Hot Buttered or Chilled? I have tried my best to EatMyWayThruCarlandia.